How not to fly to Oshkosh. This was my 25th year to attend the Oshkosh, WI Airshow, we didn't make it. Crashed in Madison, WI. But we went first class, crashed into a Lexus car lot. Lucky, darn lucky, plane was a total loss, but Bob Burow, (his airplane) and I escaped well okay. We wiped out a tree, 9 steel poles and the steel fence you see on the ground. Don't want to repeat that day. 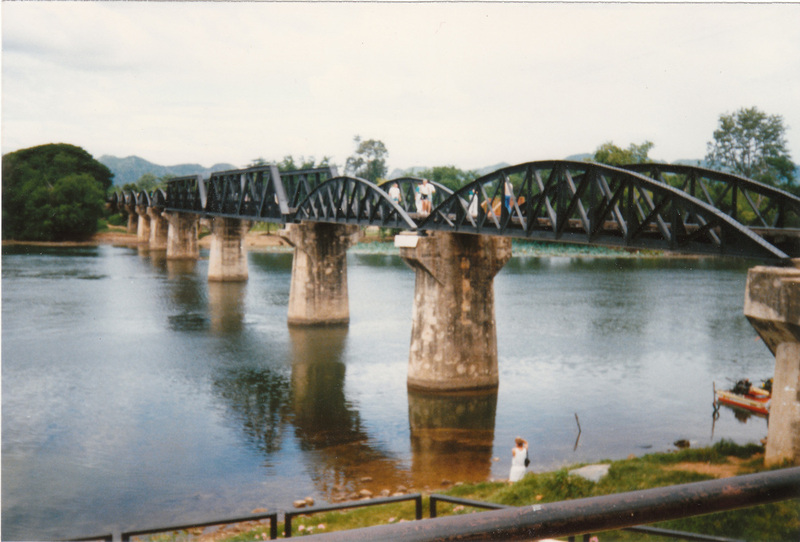 River Bridge Kwai in Kanchanaburu, Thailand. Had an historic visit their relative to the torture applied to POW's held by the vicious Japanese.